WHAT IS YOUR OPERATING PHILOSOPHY? Our operating philosophy is simple: if we can make your deal work, we will. We do NOT have a “one-size fits all” mentality; we think outside the box. Most of our business is from prior customers. They like doing business with us because our process is easy, our service is friendly and our terms are competitive. JUST HOW EASY IS IT TO GET A LOAN ON A PROPERTY? Because our loans are “NO DOC” to “Lite Doc” it’s VERY easy to get funding to close on your project. We work with our customers to provide loans quickly and with minimal effort on their part. WHAT ARE THE STEPS IN GETTING A LOAN TO CLOSING? HOW QUICKLY ARE YOUR LOANS APPROVED? Turn around time on loan requests for funding is usually 48-72 hours after inspection of the project. HOW MUCH WILL YOU LOAN ON A PROPERTY? HOW MUCH MONEY DO I HAVE TO COME UP WITH TO PURCHASE A TYPICAL INVESTMENT PROPERTY? Almost all deals may require a minimum amount of investment money coming from you, the borrower, into the deal. How much depends on the deal itself and is determined case by case, but it is a good idea to assume that you will have to come up with at least 10% or 15% of the purchase price plus monies to cover normal costs associated with closing and settlement. ARE THERE CREATIVE WAYS TO MINIMIZE THE AMOUNT OF MONIES I NEED TO PUT INTO A DEAL? The Seller is allowed to contribute any amount of the sales price towards closing cost assistance. We strongly urge you to negotiate a Seller concession into your contract offer to keep your upfront fees to a minimum. It is also a good idea on every offer to ask if the seller can hold a second mortgage for part of the purchase price (Example: getting a seller to hold a second mortgage for 10% to 20% of the purchase price may be a good way to get a deal with little money down or to reduce the amount of money you may need for closing.) Contact your loan specialist before entering into a contract for details and specific help in constructing the best options for your deal. WHAT FEES ARE INVOLVED IN GETTING A LOAN? 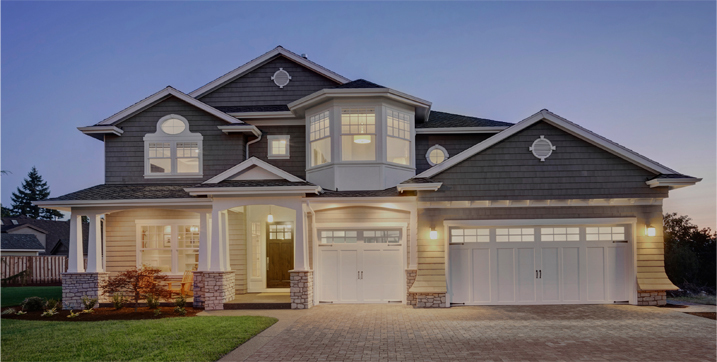 Assuming the loan goes to closing, there are no fees in getting to closing in many cases. Please see below for further details. $450 Property Appraisal Fee. 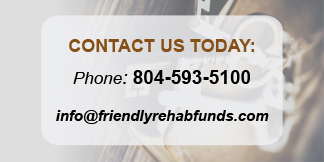 This fee is waived if the property is in the Greater Richmond Area. $400 Initial Inspection Fee: This fee is credited back to the borrower at closing and is waived if the property is in the Greater Richmond Area. $1,000 Loan Deposit: Once we have issued you a Loan Approval Letter of Intent a Loan Deposit may be required as a “good faith” deposit (i.e. in consideration of our reserving monies to fund your deal). If collected, this fee is refunded to borrower at closing. WHAT INTEREST RATE AND POINTS DO YOU CHARGE? HOW ARE THE REPAIR FUNDS PAID OUT? The repair funds of a loan go into a repair escrow account controlled by your draw estimate. The escrowed repair funds are paid to the Borrower/Rehabber on a reimbursement basis in the form of “Draws” upon completion. That is, you or the contractor performs repairs, pays for materials and labor and then requests a draw for repayment upon completion. HOW LONG WILL YOU FINANCE A PROJECT? ARE MONTHLY LOAN PAYMENTS INTEREST ONLY? Yes, our loans are payable monthly, interest only. ON WHAT TYPES OF PROJECTS WILL YOU LOAN? We loan on residential properties. There are no pre-payment penalties.